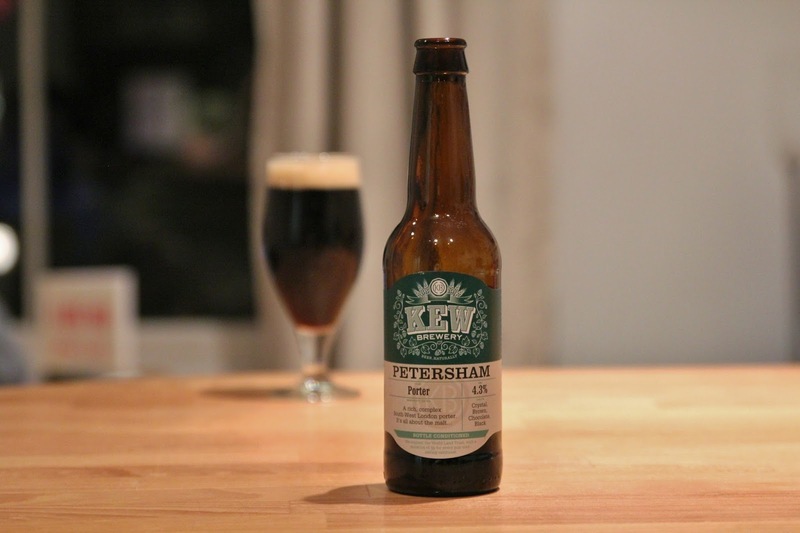 Kew have continued to crank out solid beers. As a reminder, this brewery operates within a challenging set of parameters, such as only using English malts and hops. Kew's motivation here is sustainability. Off hand, I can't think of any other breweries in London that make such an effort, so Kew should be commended for their efforts. Today I try the Petersham Porter. At 4.3%, it's a relatively mellow offering. It pours clear, rich brown with a creamy, beige head. The aroma is fairly straightforward, with moderate roasted malt character, hints of dusty earth and chocolate. The flavour carries light to moderate sweetness and has notes of smooth, chocolatey malts, toasted biscuits, subtle earthy bitterness, and accents of prune and raisin. It's light bodied with fine carbonation and a velvety texture. The finish is nicely balanced, with easygoing cocoa, some toasted toffee, hints of dried berries and more bitter earth. Overall, it's a very drinkable beer, although not surprisingly (given the strength) it doesn't have a lot of depth. That's not a knock on it, however - I certainly recognise that this type of porter is built for drinking by the pint. It would be fun, though, if the brewery made a stronger version of this beer. I think if some of the characteristics that are already present were intensified, it could be quite interesting.